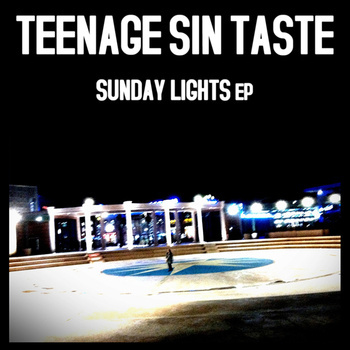 Another release from TeenageSinTaste, very brief this time, gets the name “Sunday lights”. We have two high voltage songs in here; ‘weird’, which is a rather angry song, with a leading male singing. The demanding drum section leads a furious role, and the guitars give out high energy, reaching to realms of noise rock from time to time. The next song, CRASH(ed), is just a little more settled, with female singing this time, bringing to mind PJ Harvey, among others. As a release, “Sunday Lights” offer a nice, even if small, peek on this band’s activity. CRASH(ed) and Weird offer two different approaches to the band’s music that we know from past songs, and in here we get a more flexible offering. There is a strong notion of nostalgia in this sort of music, but the drum beats certainly work and TeenageSinTaste prove they are ready for a full album, maybe soon.